The Reds player grew up in Keighley and three-quarters of the people he knows support Leeds. Leeds have been in a torrid run of form, losing eight of their last 10 in all competitions. And Pearson, pictured, who joined Barnsley in the summer, said: “I don’t support a team as such but I’d say about 75 per cent of my friends and family are Leeds fans. “I’d love to get one over on them. “They’ll be loads of people I know in the Leeds end. “It’s one of those things where you want to win because you don’t want them to have the final say. “I won’t be giving it out straight after the game. “I’ll wait for them to bring it up and I’ll be more than happy to put them back in their place. “It’s going to be a good game and we’re all looking forward to it. “I’ve been replying to the texts and stuff. I’ve not been giving too much back, but I’m letting them have their say. Wing-back Pearson was used as a central defender in midweek. The player is adamant he will do whatever the team needs of him. He added: “I’m happy to play anywhere for the team. Barnsley have been in decent form of late, with Tuesday night’s defeat to Cardiff City ending a four-match unbeaten run. 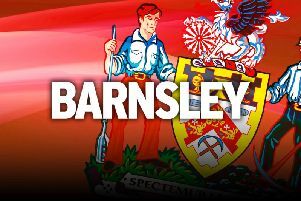 Meanwhile, Barnsley staff will be running their charity 10k tomorrow. The 18-person group are raising money for local causes Barnsley Hospital and Barnsley Hospice. More than £400 has been raised so far, with former players Marc Roberts and Sam Winnall donating.